Arthur St Digital was approached by Hardie Grant on behalf of Spirit of Tasmania to assist in the delivery of an Online Content and Lead Generation strategy for its impending tourism campaign, Amazingly Tasmania. The campaign was designed to assist travellers in the exploration of the great southern state using the Spirit of Tasmania services. This was achieved via the implementation of five self-drive itineraries that showcased Tasmania’s unique experiences and hidden gems, in a single downloadable PDF. Spirit of Tasmania had successfully executed competition based campaigns in the past, however, they experienced a significant decrease in conversions when this element was removed. With a movement towards contemporary, online lead generation methods, the client required personalised and expert guidance to help regenerate brand awareness through this transitional period. Arthur St Digital implemented an effective online content lead generation strategy to complement Spirit of Tasmania’s already established communication channels. The campaign ran over three months, leveraging digital mediums including social media marketing, native content, and both paid and organic search mediums. Both written and visual content was used to amplify the campaign messaging. 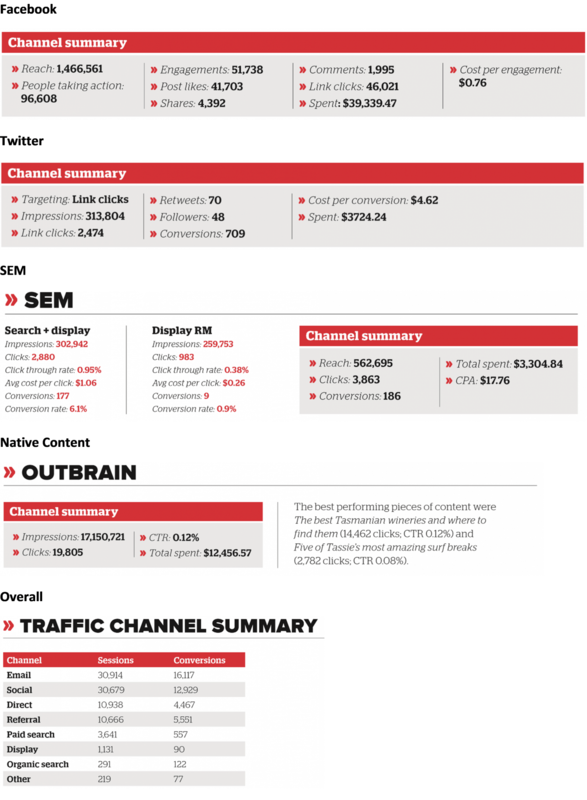 These pieces were dispersed through advertising platforms with detailed audience targeting, allowing the client to form a high-level engagement connection between existing and potential customers. The final number of guides requested was 44,447. This represented a 36% increase in comparison to Spirit of Tasmania’s previous campaign – Experience Tasmania – and an 8% increase on the campaign prior – Cruising Tasmania. Arthur St Digital was directly responsible for achieving 30% of the overall campaign conversions by projecting the travel guide via online advertising channels. Spirit of Tasmania identified the campaign highlights as the extensive volume of social engagement – likes, shares and comments – which were overwhelmingly positive in sentiment towards Tasmania as a destination and in turn, to the brand integrity of Spirit of Tasmania. 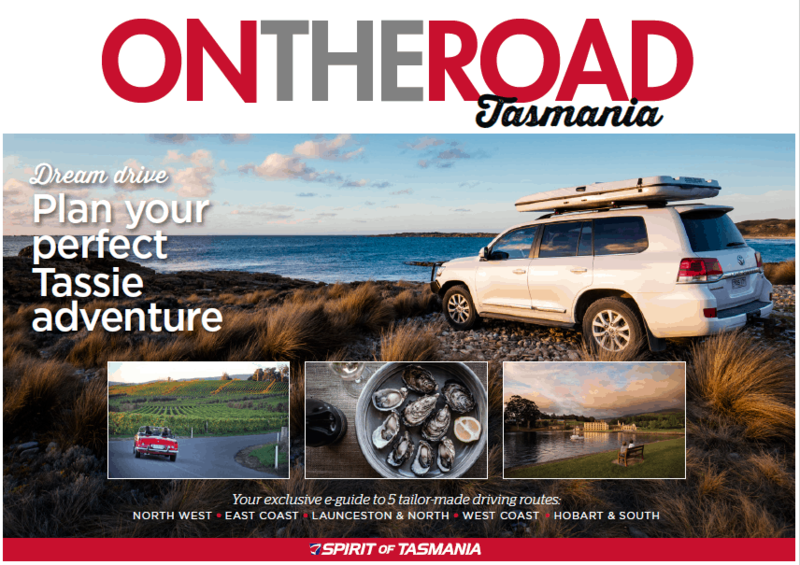 The online content strategy incorporated native content from the blog to social channels, delivering immediate positive engagement and sentiment on the Spirit of Tasmania blog. This maximised the relevance of the campaign messaging messaging to each user, contributing to the high engagement rate. This aspect of the campaign saw a large increase in website traffic via the blog, with the seven blogs being the most-visited posts on the site during the Amazingly Tasmania campaign. .
Drop us a line and let's discuss your business or project over a skinny vanilla chai turmeric latte...or whatever you prefer- it's on us. ↟ how can we help.